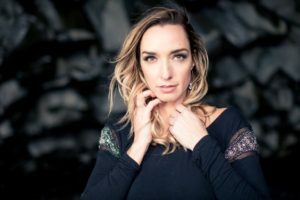 Gettin’ To Know… Jenn Bostic: We talk Whole Planet Foundation, new album ‘Revival’ and much more with the songwriter! The UK has proven to be a welcoming home for songwriters from Nashville who are looking for attentive crowds who are hungry for their fantastic storytelling. This has proven to very much be the case for Jenn Bostic. Having toured the UK numerous times and built up a loyal following, the songwriter has become a firm favourite, with some of her tracks being playlisted on Radio 2 amongst others. 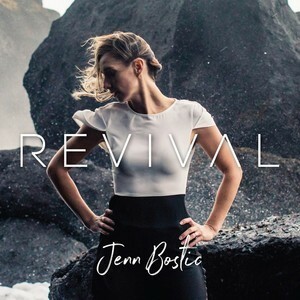 This year Jenn will return for an extensive tour that coincides with the release of her latest album, Revival. We chatted to her recently to get the lowdown on the record and much more! We’re kind of hot off the heels of your single Faint of Heart at the moment. How’s the reaction been? It’s been amazing. I released the track whilst I was in Ireland and did some press there, then I came back and was at South By Southwest for an event called ‘Southwest Invasion’ and you’ll probably know that 50% of the song is being donated to a foundation called Whole Planet. That was really neat because I got to perform the song about seven times during the three days that I was at the event, working as the artist ambassador for Whole Planet and getting people to understand that they grant micro-credit loans to entrepreneurs around the world and 87% of those are women. It’s kind of close to my heart as an artist and entrepreneur! Fantastic! It’s an amazing thing for an artist these days, you don’t see many who are willing to give up such a large amount to charity! How did you get involved with them? Through a mutual friend who has been a supporter for a while, I guess the last six years of my career, she heard the song and instantly thought of Whole Planet and their mission and how they support women. She connected us, I spoke with them and they thought I was a perfect fit. I understood their vision straight away. I’ve seen through a few of my other songs, like Jealous of Angels, that songs really can connect with people and empower and encourage them. For me, it was a luxury that I wrote Faint of Heart by myself because I had all the freedom to give away whatever percentage I chose and that’s not always the case because I do a lot of co-writing. It was nice to be able to say “you know what, this is what I want to do” because it’s bigger than me and to be able to help and encourage one another as entrepreneurs is important. Yes. It’s autobiographical for sure. It’s a vulnerable story of my honest journey that I’ve been on for the last ten years, which has been crazy! I feel so grateful that I get to wake up every day and play music but I think that when people are fans of the music and like what you do they just kind of assume that “it’s so easy to be a songwriter, it comes naturally”, just like writing does for you, you know? I think I think that some songs do come to me but other times I stare at a piano and whatever I’m coming up with is terrible! It’s part of it and is kind of what happened the day I wrote that song, I beat myself up a little bit the whole day and eventually said “right, I’m locking the studio door and I’m going to write a song!” I thought the song was kind of specific, it’s very much my personal story but I heard a famous songwriter, Tom Douglas, I heard him say that “the more specific you can write a song, the more universal it will become” and that’s just one of those moments when I thought “alright, this is my heart and this is as honest as I can be, I hope that people connect to it” The first time that I ever played it a few women came up to me and said “this makes me think of infertility” or “this makes me think of this dream that I’m chasing.” It’s amazing the way that people can react to things like that. The album Revival follows soon on 4th May. Can we expect a similar, personal vibe on the album? Yeah, they’re personal. I think that Faint of Heart is definitely the most personal and emotional but I think that the record has a strong and empowering vibe to it. You’ll see songs that are kind of anthemic. There’s a lot of soul and groove on the record, I really love Bonnie Raitt and Tedeschi Trucks, that kind of soulful bluesy rock vibe is something that I’ve been trying to create for a long time but, between trying to do what you think you’re supposed as a young artist and figure out your genre, I was always listening and thinking “well, if you did this it’d be more radio friendly or marketable” but this time I’ve just made the record that I wanted to make, had a blast making it and whatever happens next is out of my hands. That’s really cool. I guess, for you, you’ve had a few albums out and won your awards and won your plaudits. Does that give you a little more freedom to say “look, I’ve proved myself, I’m going to do what I want to do now!”? You know, I think that I’m very lucky that I get to pay my bills and live a humble life playing music. I think that there are things I’d like to continue and accomplish and, if I’ve learned anything from the last record, the songs that resonated with people were the ones that were the most authentic. Doing blues covers and stuff in my shows and people were like “oh, that’s my favourite thing when you do that with your voice” and I was like “well that’s really fun to do so let me just go and do that!” There is just this effortless feeling to the music that I’ve created for this record whereas in the past I was just learning, I was working with so many different pop producers and trying to find my way. I feel like I’ve found it. Whether it was freedom because I’d met x,y and z goal or not, I don’t know but it was just something that I had to do. Let’s talk about the UK a little bit because you’ve had some success over here and you’ve been over a lot. Do you almost see it as a second home? I do! I’ve made some incredible friends over there as well so it’s really nice to come over a couple of times a year and perform. I just can’t believe the shows sometimes and the connect. The way that people react is just a little bit different from the States and I’m not even sure that I can put my finger on what it is, there’s just this hunger for the songs in such a neat way. With the support of, I mean, I’ve had quite a few singles playlisted on Radio 2, which I’m grateful for, there’s just a different level that I’m able to perform at in the UK and I’m greateful for it! The next question I was going to ask, I’ll actually answer for you as well, because I was going to ask what it is that British crowds love about you but I think it’s that honesty and that vulnerability in your songwriting style. Do you feel that’s where the real connect with the crowd comes from? Yeah, I think that within my shows I’m really open and honest about where songs come from so I don’t really hold back anything! I think that I’ve learned that when I do that it allows people to connect and share with me. I’ve heard countless stories after shows about how certain songs made people think of their own lives. That is the most powerful thing to me and I’ve realised that, if I’m transparent, if gives people the power to do that as well. You’ve got a UK tour coming up, with quite a few dates. How excited are you to get back on the road over here? I’m really excited! I did a pre-release show at The Hospital Club in London at the end of February, just to kind of give people a taste of what the tour will be. I’m really excited about the band that I have and I’ve been waiting to play Bush Hall for a long time so I’m excited that’s the London release date! I really am excited and I know that this band will help me give people the real experience of the album. They’ll be able to hear the full bluesy rock vibe. I do a lot of things acoustically for financial reasons plus I manage myself and book all of my own shows so it’s difficult to get a band over and financially support but I just felt that, with this record, I needed it! Revival is released May 4th. Ashley Campbell: We speak about her new album ‘The Lonely One’, playing in the UK and much more!